Take your game sessions up a notch with the Nintendo Switch Pro Controller. The Pro Controller is larger than the Switch's included Joy-Con controllers, even when they're placed in their Grip accessory, which those with big hands will find more comfortable. 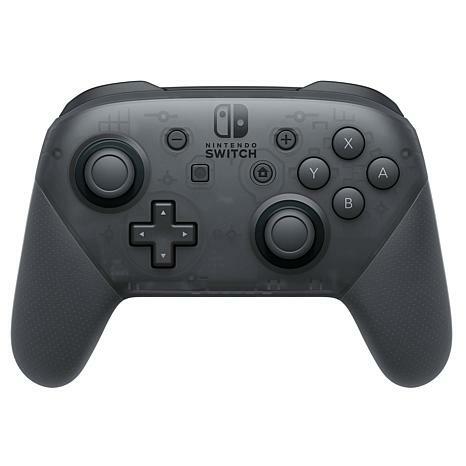 The Pro Controller also has a more traditional layout, most notably with its full d-pad, which is important for games that require digital precision. It includes motion controls, HD rumble, built-in NFC for amiibo functionality, and more. PlayStation 4 DualShock 4 Controller with "The Last of Us: Remastered"